It’s almost a universal truth that any changes made to a kitchen are going to be expensive. But what if they didn’t have to be? What if there were things you could do to keep the cost down – even affordable (or at least as close to affordable as possible)? If you’re staring down the barrel of a kitchen home improvement project, use these tips to keep the costs low. You might want a totally new kitchen, but do you really need one? Every home contractor will tell you that you need to figure out what actually has to be replaced and start there. For instance – you might need to replace your refrigerator and the one you love doesn’t match your current cabinetry. Guess what: Cabinets can be sanded and refinished to look like new for a fraction of what you’d spend on new ones. 2. How Do You Actually Use Your Kitchen? We all imagine that if we do a home improvement project, we’ll magically want to spend all of our time in the new space. Some people remodel their kitchens because they think the new space will encourage them to cook and entertain more often. Don’t fall into this trap! Your home contractor will tell you that who you actually are is going to play a large role in your remodeling needs. Don’t spend thousands of dollars trying to manipulate yourself into becoming someone you simply aren’t. The resentment you feel for the new space will be much stronger than the ennui you feel for it now. You don’t have to do everything at once, reminds “8 Tips for Updating Your Kitchen On a Budget.” Figuring out how you will use the space and what actually needs to be done so you can use it that way will give you a plan. Tackle the pieces of that plan as you can afford them. This will help you stretch your budget. These are the three pillars of any remodeling your project. 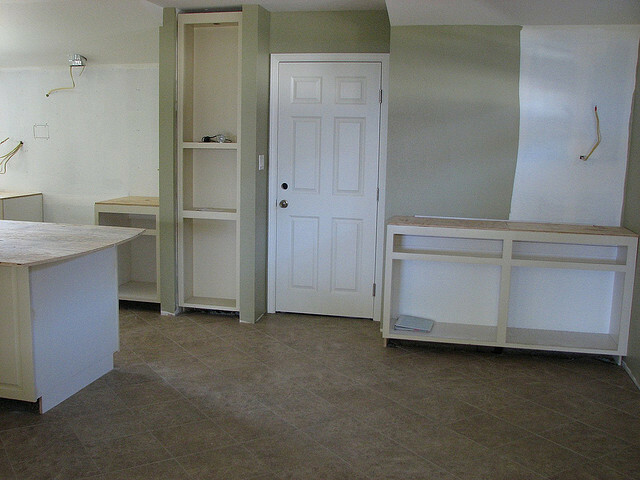 Have you been through a remodel recently? What did you learn? Need a little help? Take a look at eieihome’s directory of kitchen renovators.